June 27, 2013 – The State of Florida called several key witnesses today in its second degree murder case against George Zimmerman, painting the defendant as the aggressor and casting doubt on his statements that he shot Trayvon Martin in self defense. 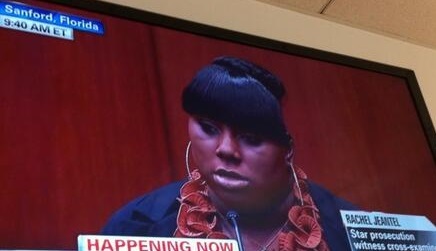 By most accounts, Rachel Jeantel, Trayvon Martin’s friend who talked on the phone with him minutes before he was killed, is the state’s most important witness. She has spent the most time on the witness stand, being interrogated by Defense Attorney Don West, (two days for close to 6 hours). West tried to poke holes into Jeantel’s testimony about what she heard on the telephone calls and what information she provided to Martin’s family, police investigators and attorneys. Toward the end of her time with West, he challenged her previous testimony in court. She immediately denied several things he said she said and then he moved on. State prosecutors supported Jeantel more today than yesterday, legal experts said, by objecting more to repeated questions from West. 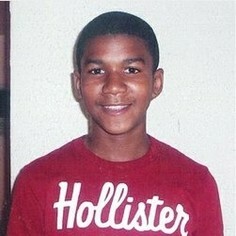 Attorneys for Trayvon’s family have said the family is proud of Jeantel, as they knew she did not want to be there. “They reacted to Rachel’s testimony just like the reacted to all of the other witnesses… They are performing their civic duty,” said Attorney Natalie Jackson during the DrDrewLive TV show on HLN. “Trials are about getting the truth out so however it comes out, that is the way it is. “They think she did well. Her story was consistent,” said Jackson, one of the attorneys representing Martin’s family. While a smiling Jeantel moved quickly from her seat when state prosecutors said they had no further questions, she was told by the judge that she was still under the subpoena as a witness and she may be called back to court. That request came from the defense. Jeantel was one of four witnesses prosecutors called Thursday. Two other witnesses also gave eye-opening testimony. Another neighbor, the woman who called 9-1-1 and whose call captured screams for help and the gunshot, also testified. One thing is for sure: after the sound of a gunshot, the cries stopped immediately. George Zimmerman, 29, is on trial for the Feb. 26, 2012 shooting death of Martin, an unarmed 17-year-old in the Retreat at Twin Lakes community in Sanford, just north of Orlando. Martin, from Miami Gardens, was walking back to a family friend’s home where he was staying in the neighborhood. Zimmerman is facing second-degree murder charges and could face life imprisonment if convicted. He has stated that he shot Martin in self defense. This entry was posted in Community news that can help, Faith and Family, Youth and tagged Attorney Don West, Attorney Natalie Jackson, Don West, FL, George Zimmerman, Rachel Jeantel, Reaction to Testimony, Sanford, Seminole County, The Trayvon Martin Case, Trayvon Martin, Trayvon Martin family. Bookmark the permalink.